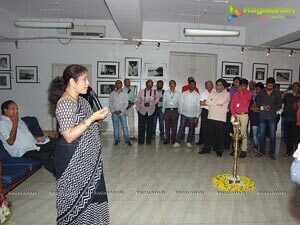 The inauguration of the Telangana Photography Society's (TPS) annual event GALLERIA 2016 was inaugurated on 19 August 2016, which also happens to be the World Photographic Day, at the Indian Council for Cultural Relations (ICCR) Art Gallery, Ravindra Bharathi, Hyderabad. The event was a grand success - the exhibition and talks were visited and attended by more than 500 people over the course of the 3 days. 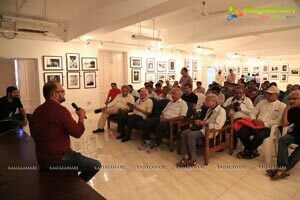 The entire programme was very well recieved by an enthusiastic audience that took part, especially in the Master Photographers' talks. 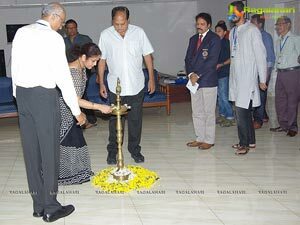 The lamp was lit by the Chief Guest Padmashri Dr Ananda Shankar Jayant, national treasure and danseuse extraordinaire and Guest of Honour Shri T Chalapathi Rao, veteran Telugu actor, followed by the release of the Galleria 2016 brochure. 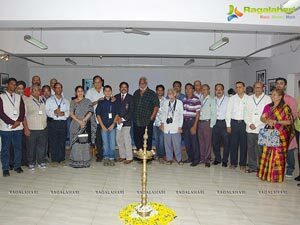 This year the annual event was larger than its previous editions including not only a grand exhibition, but also a series of talks by master photographers Ashok Kandimalla, Arvind Chenji, Sathyaprasad Yachendra and Ravinder Reddy over the three days of the event. The 2016 edition of Galleria showcased the works of 41 photographers from amongst its members. 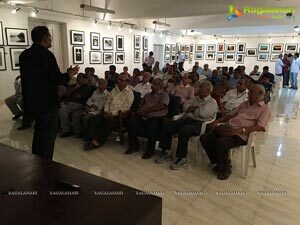 "It is extraordinary to see that the senior most photographers as well as the young ones are given a platform to showcase their work side by side" said Chief Guest Padmashri Dr Ananda Shankar Jayant, adding that "the efforts of the TPS is taking photography to a new level by encouraging photographic talent." 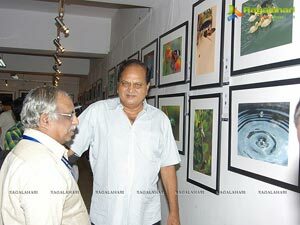 Speaking as a veteran of the Telugu film industry, Shri T Chalapathi Rao remarked that if it wasn't for the history of the photographic medium, films and television wouldn't even have existed. He also pointed out the power of photography to change the world by means of documentary photography and photojournalism, referring to the war and terrorist events that were exposed across the world in recent years, thus allowing the common man's voice to be heard. 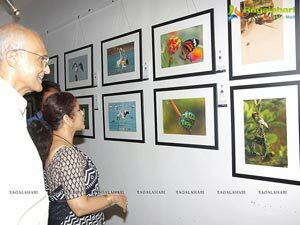 Dr Ananda Shankar, also said that "at the end of the day, all we human beings can share are our memories (...) and photographers capture those memories", emphasising on the fact that come rain, come sunshine, photographers make great efforts to capture memorable photographs.